Heart failure affects over half a million people in the UK alone, and it gets worse over time. The heart becomes unable to pump blood around the body properly, usually as a result of the cardiac muscle being damaged from a heart attack, for example. There are not enough hearts available for this number of transplants and so there are treatments in place. They are mechanical devices that are implanted directly into the heart tissue; they aid with pumping blood around the body. However, the body can react to these devices creating a risk of dangerous blood clots. Therefore, scientists have been trying to come up with something else to treat heart failure with fewer risks. Recently, a new device has been developed that helps the heart pump blood when it is deteriorating. It is made of silicon, a similar material to the heart muscle; it stiffens and relaxes when inflated with air. Instead of being implanted into the heart tissue, this device is fitted around the heart so it ‘hugs’ the heart instead, meaning that the body is much less likely to have a reaction to it. It squeezes the outside of the heart, just like the cardiac muscle to aid the pumping of the heart. It was fitted around six pig hearts and the device was able to be synchronised with the shapes and movements of the heart. It was seen to boost the amount of blood being pumped around the body; when the heart stopped beating, the robotic sleeve helped to restore blood flow. Though promising, many more animal trials must be done before this device is tested on any humans. There is nothing so far, to suggest that this device won’t be used to help thousands of people in the upcoming years with heart failure. Towards the end f summer last year, I got the opportunity to volunteer in a residential home for the elderly, for just over a week. This meant that I could experience a different style of healthcare that I hadn’t particularly seen much of before. I also now volunteer weekly in a dementia day-care centre on a Friday morning, as a result of the week I did at the end of summer. During this week in the summer, I spent most of my time there sitting, speaking to some of the residents. I also made cups of tea and coffee and played games with a few of them. I got the chance to go to the local hospital and meet a potential resident for the home to speak to them about potentially coming into the home. I got to go to another hospital as well to speak with a current resident who had become ill and wasn’t well enough to stay in the home. During this week, the main thing that was clearly evident was the level of communicational skills required to work or volunteer in a place such as a residential home. I thought that being there helped me develop different ways to talk with elderly people who maybe could not always hear what I was saying. Conversations often meant I had to show patience as they would probably repeat the same story numerous times. I felt that it was important that I was enthusiastic with them when playing games or completing activities as it meant they would be more likely to enjoy what we were doing. Spending a week experiencing this high level of healthcare showed me how much some elderly community rely on other people, as well as the importance of patient confidentiality. This is why I later decided to volunteer weekly in a day-care centre, to maintain my involvement within a healthcare environment. A care home is an excellent place to get some first hand experience of a healthcare environment; it will probably be a level of care and support that you haven’t experienced before. If you are considering medicine as a course for university, then it is important you can gain an insight to a healthcare environment like this beforehand. Speaking with people with dementia can be a challenging task at first, but I’ve found that the more I have been exposed to it, the better I’ve become at knowing what to say and how to deal with uncomfortable situations. Higher Risks of Dementia Near Busy Roads? Dementia is a group of symptoms such as struggling to remember things or finding it hard to work things out. It is most commonly caused by Alzheimer’s disease- 62% of of all those diagnosed. There are around 850,000 people with dementia in the UK and it is thought that, on average, one person will develop dementia every three minutes. It was in the news this week that supposedly, living in close proximity to a busy road will increase the likelihood of an individual developing dementia. It is thought to be linked with the road pollution and the traffic noise. In a study conducted on 243,611 cases in Canada, compared to people that lived 300m away from a main road, people who lived within 50m were 7% more likely to develop dementia. Clearly, it is clear that more research must be done in order to prove that there is a correlation; there could also be some unknown factors that the study didn’t take into consideration. 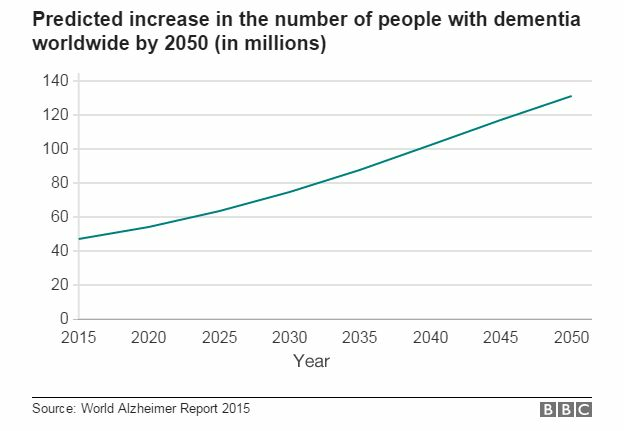 It looked at where people lived; it cannot prove that the increase in dementia cases is purely down to the busy roads. There are many other factors that increase your risk of dementia by much more than 7%, such as smoking; it would be far more beneficial to quit smoking than moving into the countryside. Having said that, however, we know already, living near busy roads has other health problems, such as increased risk of stroke, heart disease, lung cancer and respiratory diseases. So, deciding to move away from busy roads may have its benefits, even if one of them isn’t a decreased risk of dementia.